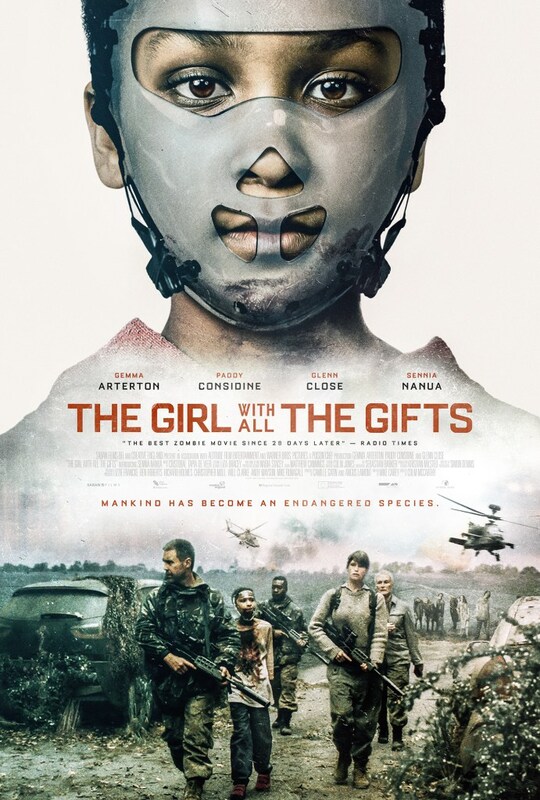 John’s Horror Corner: The Girl with All the Gifts (2016), a great modern zombie movie deeply exploring the Devil’s advocacy of morality. MY CALL: A fine contribution to the zombie subgenre! Very pleased with this scientific approach to zombiism and the film’s ability to capture humanity and the Devil’s advocacy of morality. 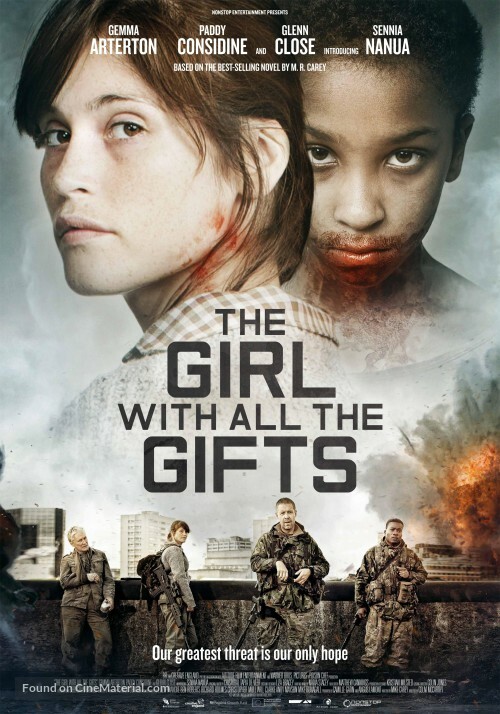 MORE MOVIES LIKE The Girl with All the Gifts: Well, above all others see The Returned (2013)—it tackles morality outstandingly. Then go for 28 Days Later (2002), Children of Men (2006; not a zombie film), and maybe even World War Z (2013) and the TV series The Walking Dead (2010-present). Also sticking an emotional vein for the zombie genre was Train to Busan (2016). Introduced to a bleak world in the early stages of zombiegeddon, we find daily activities beleaguered by draconian military procedure aimed at the securing, incarceration and control of… children? But why, one must wonder. 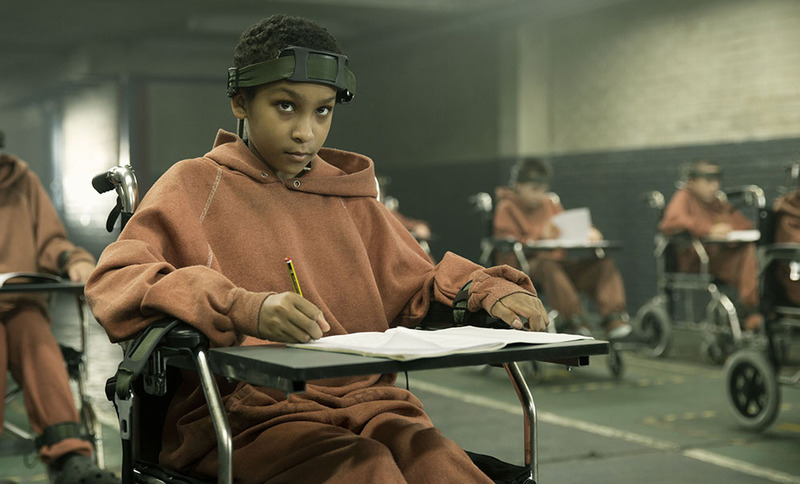 Warm-souled preteens are strapped down and wheeled to their seemingly routine classroom lessons at gunpoint, tended with more caution than if Hannibal Lecter himself was transported. We know something, some otherwise normative axiom, has been quite violated in this future—and the violation clearly resides under the veil of innocence. A school teacher to these young threats, Helen (Gemma Arterton; Hansel and Gretel: Witch Hunters, The Voices, Byzantium) serves as our voice of compassion. She feels for the humanity that clearly resides in them—or so she would contest. But opposite Helen, Dr. Caldwell (Glenn Close; Fatal Instinct, Mars Attacks!) would posit these kids’ sympathetic behavior as putatively adaptive. We are left to wonder who is right. Or, possibly, could both correct? I’m sure Physicist Erwin Schrödinger would be most elated by the cinematic analogy of his packaged feline paradox. Mediating both counterpoints is Sgt Parks (Paddy Considine; Hot Fuzz, The World’s End) and his men, who adopt a “typical” military approach to the threat. And to give that threat a name, we focus on the kind-hearted Melanie (Sennia Nanua). The most successful modern zombie movies need more than rotting animated corpses. 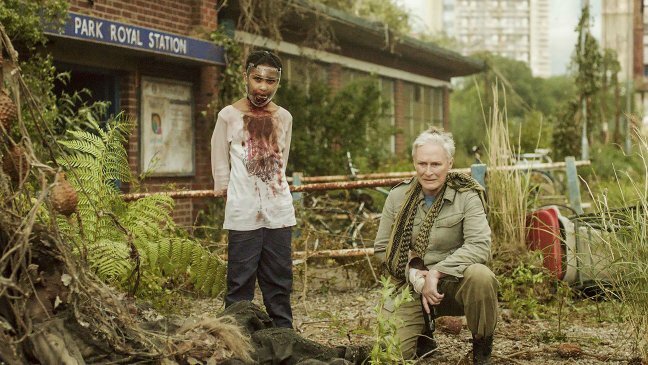 The zombie genre thrives on sociology, its degeneration and humanity alike. Inevitably viewers will compare this to World War Z (2013) or The Walking Dead (2010-present) due to scenes of scrambling zombie hordes (or herds). But that aggregating behavior predates such work and goes back to the root of all: Romero’s trilogy. Instead, I’d compare this to the trials of TWD’s characters struggling with morality, or the empathy of the “turn” championed in The Returned (2013). Reflecting on sympathy for the infected, consider Roger (Dawn of the Dead), afforded every minute by his fellow mall-marooned survivors to live out his humanity before his turn; or Bub (Day of the Dead), given so much compassion for the echoes of humanity hidden beneath his flesh-eating surface; or any other character altruistically ending themselves (to keep others safe) or conversely fearfully begging for every last minute after being doomed by a zombie’s bite even to the point of hiding it (a dangerous denial putting all others at risk). 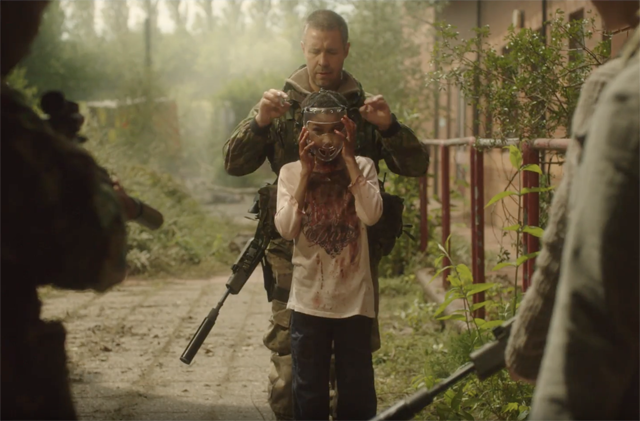 Dealing with that—the infection (not the zombie)—is this film’s focus and strength. 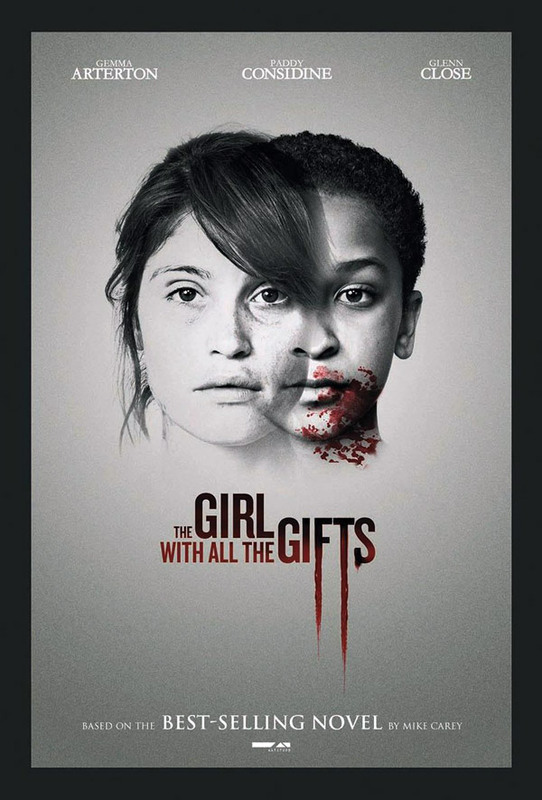 This film digs deep and manages to garner something zombie movie fans (or film fans) haven’t quite seen before, or at least does something you may find familiar in a novel manner. While I thought many aspects of the third act were executed suboptimally (in my opinion anyway), I was largely pleased with the overall product. It took some interesting turns that go against our troped up expectations for the genre, and it does so with a less predictable moral grounding. Very pleased with this one! ← John’s Horror Corner: Saw V (2008), just okay—I miss Leigh Whannell and characters that matter. Very, very much. When a zombie film doesn’t feel like a zombie film, we all win.